For many students their commencement day is an important marker in their lives. A day of joy and a day that symbolizes immense growth. It is a day that each graduate will remember fondly and any reminder of the moment they walked across the stage will be appreciated. Photos do just that. StageClip, however, offers another option to remember the day with, an individualized video clip of the very moment the graduate walked across the stage. StageClip is the newest innovation that is perfect for the social-media centered generation. Today’s world revolves around the instant results of the smartphone and the immediate gratification of social-media engagement. StageClip incorporates both these elements by creating the video clips within hours after the end of the ceremony and formatting the source of the videos to allow easy sharing on various platforms. The StageClip technology is not created to record the event. It utilizes the livestream feed that has already been set up by the institution for the event and creates individual clips for each graduate. 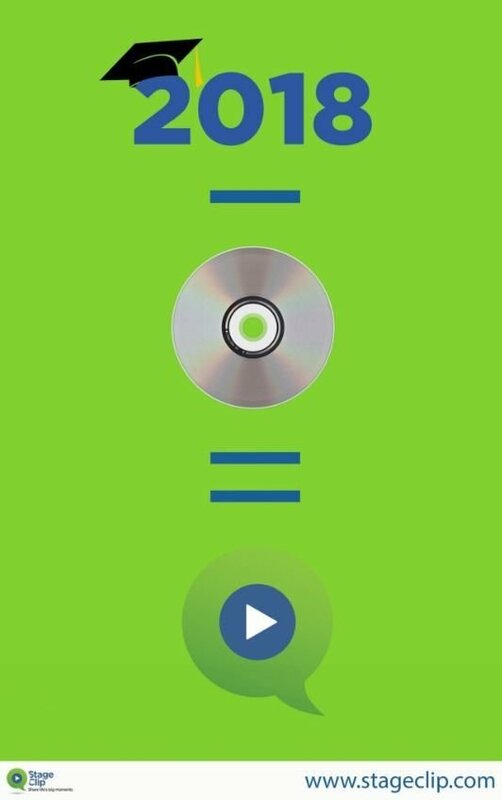 An artificial intelligence feature assisting this technology recognizes and matches the graduates to their video clip simultaneously at a large scale. StageClip is ideal for this generation of graduates because the video they receive is customized for them and is ready to be shared within hours of the ceremony. The videos from StageClip can be delivered either directly from StageClip or the institution can obtain the links to be shared with the graduates. A majority of StageClip’s current partners choose to work with the students and send the link themselves in an effort to engage the graduates with the alumni association. Universities often choose to use the videoclip as a reward for students that complete surveys created by the alumni association that are designed to engage and maintain relationships with recent graduates. John Hopkins University and Missouri Western State University had overwhelmingly positive responses from the graduates. 73% and 63% of the graduates respectively completed the surveys that the link to the video was attached to. Before StageClip the completion rate for these surveys was 15%. 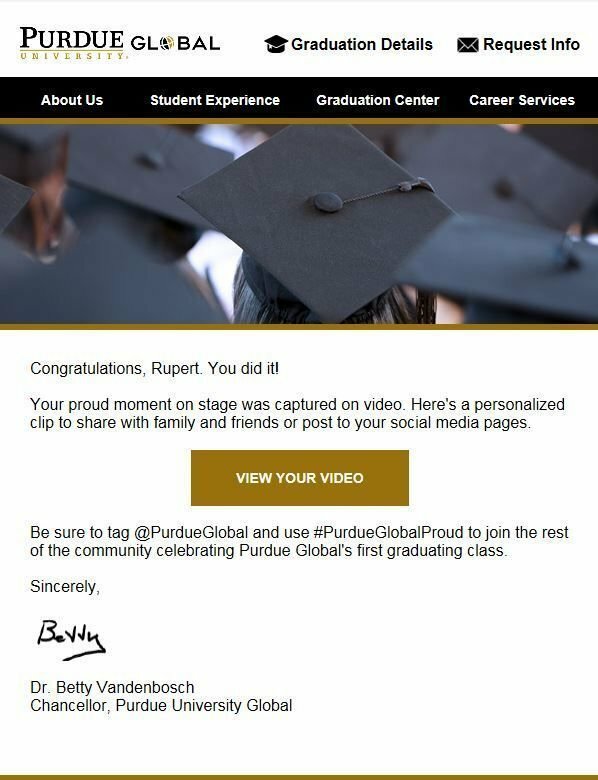 Purdue University Global had an 82% open rate for the email campaign containing the link to the video by StageClips which is the highest open rate the institution has had for an email. Rupert Forsythe’s (StageClip CEO) 25 year experience in the industry and collaboration with Kingston University London developed what now is StageClip. The technology that creates video clips for individuals within hours of the ceremony. Within the 10 months since its inception the StageClip technology has been used by universities in 7 countries spanning across 3 continents. The rapid growth in the popularity of the technology is a sign that the graduates are embracing individualized video clips for various purposes including social media posts.